After a long-term co-branded relationship, JetBlue has made the switch from American Express to Barclaycard, forming a new partnership that now offers customers JetBlue CardJetBlue Card, a no-annual-fee credit card with respectable perks and benefits. JetBlue CardJetBlue Card members no longer have to pay a $40 annual fee and they get to avoid a 2.7 percent foreign transaction fee that was a feature of the old card. 10,000 bonus points after you spend $1,000 in purchases in the first 90 days. Three times the points on JetBlue purchases, two times the points at restaurants and grocery stores, one times the points on all other purchases. Through the JetBlue TrueBlue program, no blackout dates on JetBlue flights and points don't expire. Pool points within your family. Your points don't expire and you can redeem them for JetBlue flights without fear of blackout dates. Earning two points per $1 spent at grocery stores and restaurants (in addition to 3 points per $1 on JetBlue purchases and one point per $1 on other purchases) means you'll earn points toward free flights even with your everyday purchases. Enjoy 50 percent off in-flight purchases like drinks, food and movies. JetBlue serves a fairly limited market and its points aren't yet redeemable for award flights with its partner airlines, with the notable exception of Hawaiian Airlines. One of the things customers always worry about when credit cards leave co-branded partnerships is that they'll get the shaft and have to sacrifice the perks and benefits that initially attracted them to the card. There are reasons for cardholders to make some of those complaints here, but JetBlue CardJetBlue Card does offer some trade-offs cardholders can be satisfied with – the most attractive of which is no annual fee. This is a departure from the JetBlue Amex card, which charged a $40 annual fee that it waived for the first year. The card now also has no foreign transaction fees, which is great for JetBlue customers who frequently travel below the lower 48 to its flight destinations in the Caribbean and Colombia. 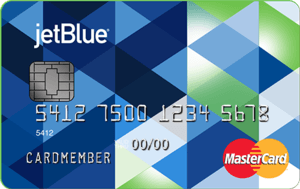 But JetBlue is mostly known as a domestic carrier, so this card benefit may go unused by a majority of its customers. JetBlue CardJetBlue Card also has a tiered rewards structure that offers cardholders three points per dollar on purchases made via Jetblue.com (flights and vacation packages), two times the points on dining and groceries and one times the points on all other purchases. JetBlue's previous Amex card only offered one times the points on non-JetBlue purchases. Cardholders also get 50 percent savings on eligible in-flight purchases, including drinks, food and in-flight movies. And, as is standard with most airline rewards cards, there aren't any blackout dates and your points never expire. One of the key things that makes JetBlue CardJetBlue Card a standout is its family pooling program, which allows families to earn and share points. This benefit is more common with international airlines like British Airways and Japan Airlines, but few domestic carriers offer it. If you travel with Southwest, you may understand the joys of a companion pass. Still, there's no way to pool together points for a great vacation or expensive cross-country flight. More domestic airlines need to follow JetBlue's path and add this perk for cardholders. One of the biggest downsides of JetBlue CardJetBlue Card is that the signup bonus doesn't offer much of an incentive to join. 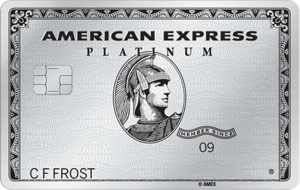 The card offers 10,000 bonus points after you spend $1,000 in the first three months, considerably less than what was offered with Amex (at one point the signup bonus was as high as 10,000 points). It's also less than competitors like the United MileagePlus® Explorer Card, which offers a signup bonus of 30,000 miles. Also, customers previously earned eight times the points on JetBlue purchases with the old Amex card, far higher than the current three times the points offered with the new Barclaycard. Let's do the math: If you were to spend $1,000 on JetBlue flights with the old card, you'd earn 8,000 points – about enough for a one-way flight that would typically cost $111 (or 7,200 points), giving these points a value of a little more than a cent per point. Under the new rewards system, you'd earn just 3,000 points for the same purchase, not even enough for a one-way flight that's typically 3,600 points at minimum. Other downsides include no anniversary bonus points, no free checked bag and no redemption bonus. However, all of these perks are offered with JetBlue Plus CardJetBlue Plus Card (this card is not currently available on CardRatings), which has a $99 annual fee but a larger signup bonus (30,000 points), six times the points on JetBlue flights, an anniversary bonus of 5,000 points and offers a 10 percent bonus when you redeem your points. Cardholders also get an annual $100 statement credit when they purchase a JetBlue Vacations package of at least $100. If you compare these two cards, it might be worth paying the $99 annual fee. You also have to keep in mind JetBlue's limited markets. If you don't live near an airport serviced by JetBlue, this card won't do you much good, so be sure to thoroughly check the "Where We Jet" map before deciding to apply for this card. With the the Gold Delta SkyMiles® Credit Card from American Express (American Express is a CardRatings advertiser), new card members can earn 30,000 bonus miles after spending $1,000 in the first three months – that's more than enough for a domestic round-trip flight – and you'll earn a $50 statement credit if you make a Delta purchase within the same time frame. Compare that to the 10,000 bonus points the JetBlue Card offers, which will just barely cover the cost of some of the airline's round-trip flights. Cardholders also get their first checked bag free on every flight, which can save a family of four up to $240 on a round-trip flight; however, the Gold Delta SkyMiles® Credit Card from American Express waives the annual fee for the first year, but after that you'll pay a $95 annual fee (See Rates and Fees). Neither card has a foreign transaction fee, but the Gold Delta SkyMiles® Credit Card from American Express comes with other perks such as car rental and travel accident insurance. 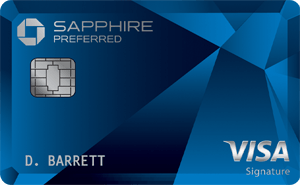 With this card, you also earn two miles per $1 on Delta purchases and one mile per $1 on other purchases. Delta has many more international routes than JetBlue, so for those who travel internationally it's likely the better option, especially with no foreign transaction fees and free checked baggage. Southwest currently maintains the enviable status of being the only U.S. airline where two checked bags fly free. It's a budget airline like JetBlue, but the Southwest Rapid Rewards® Premier Credit Card comes with more perks. You can earn 40,000 bonus points after you spend $1,000 in the first three months; however, you get fewer everyday points with Southwest compared to JetBlue (two times the points on Southwest purchases and purchases with Rapid Rewards® hotel and car rental partners compared to three times the points on JetBlue). Southwest doesn't have a points category for dining and groceries, so you'll miss out on the two times the points JetBlue offers and instead have to settle for one times the points on all non-Southwest purchases. Still, the Southwest Rapid Rewards® Premier Credit Card has a slight edge with its 6,000 bonus points after your card member anniversary, which you won't get with the JetBlue Card. Neither card charges foreign transaction fees, but Southwest does charge a $99 annual fee that Southwest Rapid Rewards® Premier Credit Card members will see on their first billing statement. The anniversary bonus largely offsets this fee, so long term the Southwest Rapid Rewards® Premier Credit Card offers more incentives for cardholders. The Wells Fargo Propel American Express® Card offers an impressive array of rewards. If you spend $3,000 in the first three months, you'll get 30,000 bonus points - a $300 cash redemption value - that obviously is more than JetBlue's 10,000 points. The Wells Fargo Propel American Express® Card also beats out JetBlue in a lot of rewards categories. For instance, you'll get three points for eating at restaurants (or having restaurant food delivered). You'll also receive three points when you use your card at gas stations, rideshares and transit - and when you travel, including airplanes, hotels, homestays (where you book travel in somebody's home) and car rentals. You will also get three points on streaming service purchases. For everything else you'll receive one point per dollar spent. If you practically live at the grocery store, the JetBlue Card may be the better alternative. It offers two points per dollar spent at the supermarket (as well as restaurants, but remember: Wells Fargo offers three points at restaurants). So as travel cards go, the Wells Fargo Propel American Express® Card probably has the edge here since, as we've mentioned, JetBlue mostly offers one point per $1 spent on purchases (although it gives you three points per dollar spent on JetBlue purchases). Both cards offer no annual fee and no foreign transaction fees. JetBlue CardJetBlue Card is a good option for JetBlue loyalists and domestic travelers who are OK with sacrificing some perks for no annual fee. If you use this card as an everyday card, including for dining and groceries, you could amass enough rewards for a flight more quickly than with another airline loyalty card that offers rewards solely for purchases made directly with the airline. Still, make sure your flight destinations are part of the JetBlue service area before you apply; nobody likes to leave rewards on the table.